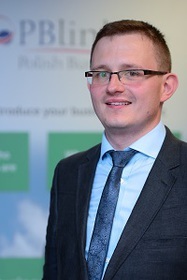 Five years, ago in March 2012, Polish Business Link (PBLINK) and the BPCC held the first business mixer in Edinburgh, attracting over 100 local entrepreneurs. Since then, organisation has expanded its network across the UK, from Aberdeen to Southampton, via Glasgow, Liverpool, Manchester, Leeds, Birmingham and London, helping Polish and entrepreneurs from other migrant communities to grow their businesses outside of their homeland. The PBLINK concept is grounded in the idea that strong networking skills are extremely important for entrepreneurs who are building their businesses a long way from the familiar environment of their native country. PBLINK’s mission is to help entrepreneurs grow their business in the UK by arranging valuable business introductions, to find new business partners, franchisees, distributors, investors or other like-minded people willing to set up a business, as well as sharing best practice and expert knowledge about the market. Running a business on your own can be lonely place. You have to force yourself to work outside your comfort zone dealing with clients, unpaid invoices, employees disputes, developing new products and services. PBLINK lets you to share valuable experience and talk to other business owners. Britain’s open, liberal and business-friendly economy attracts investors and entrepreneurs from all over the world; mapping the institutional support that’s available helps them maximise their potential – for the benefit of the UK economy. Recent surveys confirm that Polish entrepreneurs recognise the comfort environment to do business in Britain. Today, more than 30,000 Poles have set up business in the UK, while another 65,000 Poles are self-employed. Each year, PBLINK hosts over 10 tailored networking events & business mixers in the UK attracting business owners and directors from a rich mix of business sectors including construction, trade, retail and professional services. One of the key part of our networking events is ‘speed-networking’ session where delegates are introducing own business ventures to others in English. PBLINK operates in 3 geographical hubs: London, England and Scotland. Each network has its own representative coordinating local events and members. Since 2014 PBLINK, has run the Congress of Polish entrepreneurs in London attracting over 150 business people each year. The all-day events, held each October, focus on such issues as funding for business start-ups and growth, legal, tax and financial issues facing entrepreneurs in the UK, as well as marketing and HR. They also provides practical insight into the UK economy. The Congress is attended by some of the most successful Polish entrepreneurs operating in the UK who will want to share their experience with the participants. The most recent one focused on scaling up one’s business. BPCC is PBLINK’s honorary patron. The BPCC plays a key role in moderating the most prestigious events in the UK. The organisation engage the UK and Polish government in PBLINK activities, giving strong institutional support. Both organisations are working together for success of their own members. PBLINK is expanding network to attract more diverse groups of entrepreneurs in the UK: Czechs, Slovaks, Lithuanians, Spanish, and Italians. Within next few years, PBLINK aspires to launch its own network outside of the UK. We’re also working on our first industry-focused event (construction) and program to support Polish Unicorns with global aspirations. The future of the UK-Polish business relationship is also about Brexit bringing new challenges for businesses in the UK. New opportunities will open up as others close. Polish entrepreneurs in the UK are renowned for their drive and determination – armed with the right know-how and benefiting from examples of best practice learned in the UK market, they will undoubtedly find new ways of growing their businesses in the post-Brexit times. A new era for CSR and strategic value creation? The outcomes of the UK’s EU referendum and the US presidential election will bring great change. A sustainability partnership that is transforming the lives of 4,000 people. In less than four years, intive’s business in the UK has grown tenfold, becoming one of our most strategic markets. Here’s what we have learned reaching there. While trying to find your own ways in the London technology sector can be tempting, PLUGinLONDON community can open some doors for you.